A Diamond Is Forever. An Ad Is For…A While. A diamond is forever, and apparently, so is that slogan. It’s lasted DeBeers for 70 years now and been the cornerstone of their engagement ring business. But here’s what’s ironic: it wasn’t meant to last forever. Not originally. 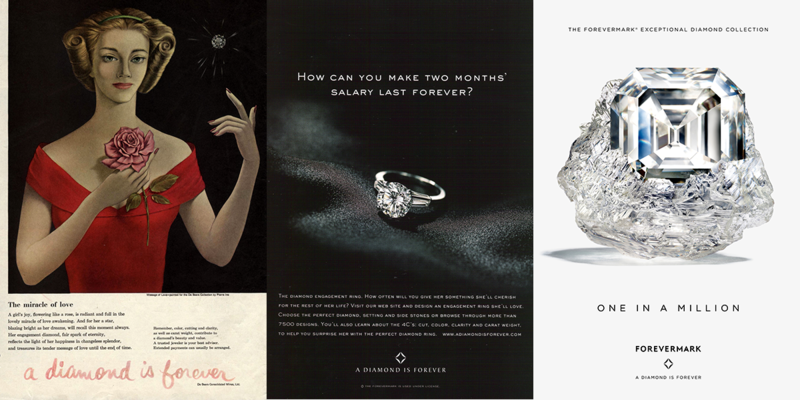 Back in 1948, when DeBeers and their ad agency coined “a diamond is forever,” they weren’t trying to write a permanent tagline, but rather, just a clever headline for a new campaign. One that was trying to dig diamonds out of the sales slump they’d been in since the Great Depression. The idea behind the ads was simple: associate the foreverness of diamonds with the foreverness of love, and—cha-ching—make those cash registers ring. And ring they did. A lot. People bought the idea and the stones to go with it. Diamonds became the standard for engagement rings. And the DeBeers tagline was forever set in stone. Pun intended. But here’s the point: that sort of advertising outcome is truly rare. You might say as rare as a...ruby...emerald...sapphire, perhaps. Very few ad campaigns achieve that sort of lasting value. Most aren’t like diamonds. They’re more like ice. Cool and useful for a brief time. But eventually, just watered down and lukewarm. And guess what: that’s okay. Because ads aren’t meant to last forever. Like the ice in your drink, they should be enjoyed then replaced. The trouble is when a company tries to make a temporary ad permanent. Essentially trying to turn ice into a diamond. We don’t see this a lot in consumer advertising, but we do see it in our main line of work: recruitment advertising. When companies start marketing their jobs, they typically work hard to develop a real gem of a campaign—especially that first one. And only after they’ve polished it to perfection do they finally kneel, open the box, and propose it to the world. And it’s a beautiful moment. But then they repeat it. And they do it again. And again. And again. And again. They keep saying the same thing, sometimes for years. Until it’s lost all luster. Fortunately, the solution is sparklingly clear. Change it up. 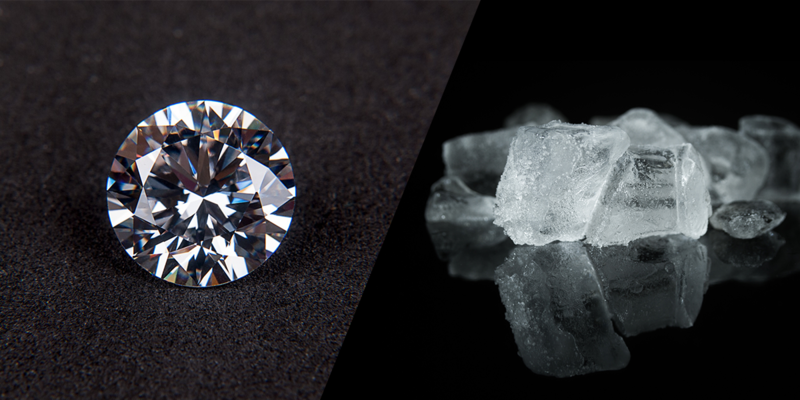 Even if your core idea—like a diamond is forever—stays the same, you can say it a different way. DeBeers gets this, and it’s exactly what they’ve done over the years. Three quick examples. The original ad from the 40s. A retelling of it from the 90s—the idea that you can make two months’ salary last forever. And a current ad for their forevermark series, which is directly named for the diamond is forever idea. You can change up your ads in this same kind of way. But how often should you do it? Consumer brands and retailers change campaigns as often as every six weeks, but job campaigns typically last longer—between a quarter and six months. Try to refresh yours that often, and if you need some help, well, we should talk.